Why is added sugar so bad for us? I used to have a literature teacher who was an incredibly interesting person. He held a dual degree in Literature and Oriental studies, and had an unusual perception of wellness which was certainly honed by his strong interest in Eastern culture. Back then, when low-carb and low-sugar diets weren’t in vogue, my teacher seemed to be waging a crusade against eating sugar. 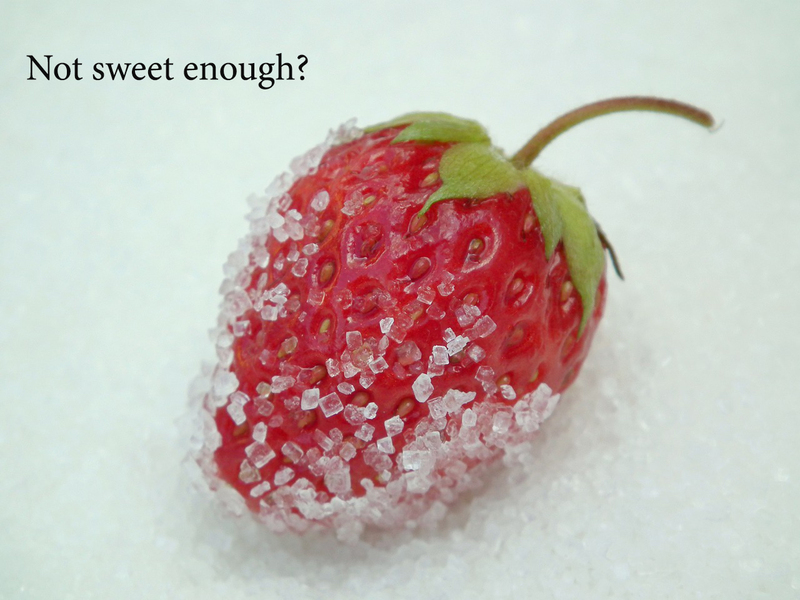 Only years later, after a challenging time while living abroad did I understand what my teacher had meant: sugar can have an outsize effect on our health and the way we feel. One of the main triggers to dive into the sugar topic were the afternoon energy slumps and mood changes I experienced regularly. I tried different diets in search of ways to retain energy and avoid the energy slumps, and I read hundreds of articles on the relation between anxiety, depression and various foods. This is how I realized that I was consuming an enormous amount of sugar and that it seemed to be related to some of the health problems I had during that time. 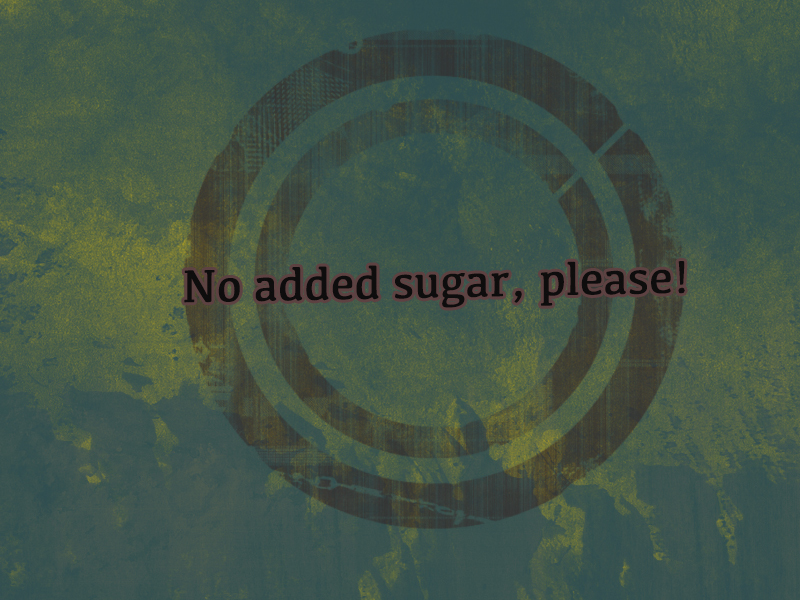 Hundreds of years ago people didn’t use to consume the same amount of sugar as we did. Quite simply, it was just harder to come by: it came predominantly in the form of fruit and honey, and was an energy-rich delicacy people enjoyed a lot less frequently than nowadays. My research shows that the key player in today’s excessive sugar intake is actually the added sugar. Therefore, I am not obsessed into avoiding all kind of sugar and I truly believe that moderate intake of naturally occurring sugars (e.g. found in fruits) is even beneficial for our health. Added sugar mainly consists of fructose. As defined by the American Heart Association, “added sugars are sugars and syrups put in food during preparation or processing, or added at the table”. Soft drinks, sodas, fruit-flavored drinks, energy drinks, breakfast cereals, condiments (e.g. mustard and ketchup), dairy desserts, candies, cookies and other similar, are major sources of added sugar. Why is added sugar so poisonous? It increases the risk of cardiovascular disease and triggers high blood pressure. According to many studies there is a key relation between sugar intake, particularly fructose, and the cause of hypertension and heart disease. As stated “a daily intake of more than 74 g of fructose is associated with a 30% greater risk of blood pressure above 140/90 mm Hg and a 77% increased risk of blood pressure above 160/100 mm Hg”. According to another study, drinking sugar-sweetened beverage is also associated with cell aging. Added sugar triggers diabetes and pre-diabetes. It negatively affects both overall metabolism and insulin resistance. An interesting study outlines how our brain reacts on different sugar. It turns out that the intake of fructose is related to the reward circuit in our brain, which could be further related to increased desire for food and thus, overeating. While fructose is provoking the feeling of hunger, glucose is related to the feeling of satiety. Furthermore, only limited amount of fructose in our body can be converted into glucose at any given time, with the rest simply stored as fat. If you suffer from autoimmune disease like Hashimoto’s, I suggest taking a look at Sarah Wilson’s blog. She finds very interesting relation between Hashimoto and sugar and explores the topic using her own experience as a basis. Sarah Wilson is an Australian blogger and best-seller author of I Quit Sugar book series. On her page you can find very interesting topics on sugar, sugar-free lifestyle and her 8 weeks I quit sugar program. World Health Organization recommends avoiding added sugar and proposes that sugars should be less than 10% of total energy intake per day. It further suggests that a reduction to below 5% of total energy intake per day would have additional benefits. Five per cent of total energy intake is equivalent to around 25 grams (around 6 teaspoons) of sugar per day for an adult of normal Body Mass Index (BMI). My motto is “keep it simple and natural”. There are so many delicious foods that do not contain added sugar. We can easily keep it natural with variety of natural ingredients. In my experience, a diet with less sugar and simple ingredients in their purest form is the best defense against energy slumps, and has positive impact on stress and anxiety levels.